Disclosure: I received a free review copy. Let me begin by saying that this product impressed the hell out of me. It clocks in at 16 pages with 12.5 pages of content (1 page for cover, 1/2 a page for credits, 1 page for OGL, and 1 page for an ad). Formatting and presentation are excellent, with every usable part of the page being well utilized for space. Additionally, the content is excellent. The races provided are not only fitted with sound rules, but also with excellent exposition that makes the races stand out. Provided within are Catfolk, Hagborn, Samsaran, and Tengu, and sub races for each. Also, the book provides number of new sub-races for dwarves, halflings, elves, and gnomes. Though the latter is a lot more brief, it is an excellent example of what a sub-race can be. The highlight of this product is the showcasing of the racial write ups, giving the utmost attention to the society and background considerations for the new races. While the mere fact that this product provides new races at all is amazing (considering the hitherto infancy of 5th edition), this product blazes a trail and leaves an example of what new race books for 5th edition should be, and look like. Bravo. 5 out of 5! Thank you for that excellent review! Review posted to OBS and D20PFSRD. Anythere else you might want it? 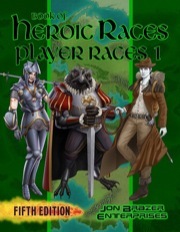 I just uploaded a new version of Book of Heroic Races: Player Races 1. We changed the name "samsaran" to "everborn" to better reflect the way 5e names their races. Also we added more artwork for each race to help you visualize your character as a member of each race. I noticed something weird here. I downloaded this file and saw the changes from the previous version, but this product's entry in "My Downloads" still gives a "Date Download Last Updated" of September 2015. I would not have known to look for this update without the posting in this thread. Paizo may not have registered it in their database yet. Or maybe because it had the same name as the previous, it is not registering it as a different version. I don't know. 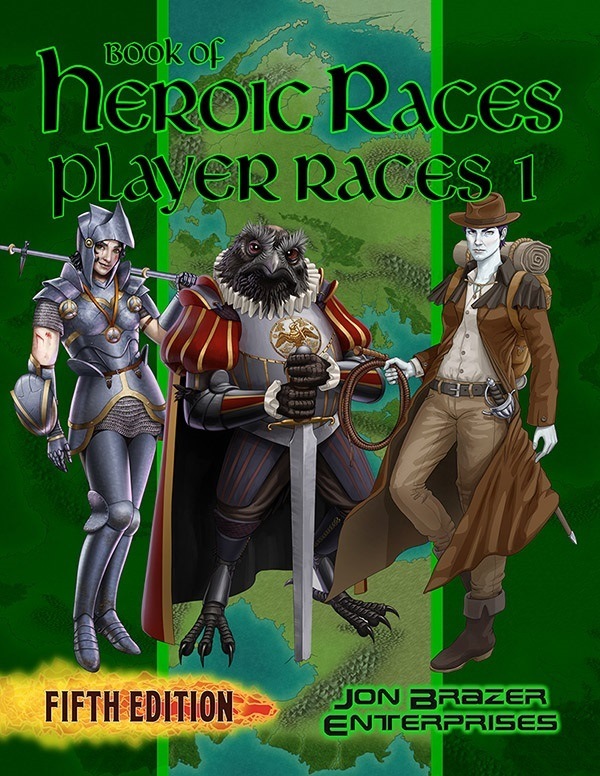 The Book of Heroic Races: Player Races 1 is now available at the Fantasy Grounds Store. So if you play online, you can play our awesome races.